It’s been a month since the budget 2012 was announced, and smart investors are beginning to prepare their portfolios for the coming year. We bring you some insights on what the budget has in store for you, as far as your investments go. This year’s budget was a mere year-end exercise from the investor’s point of view. Those who were really expecting that Direct Tax Code (DTC) may be out in this Budget or the Finance Minister may accept the Standing Committee’s recommendation on Direct Taxes were hugely disappointed. The government has only tinkered with the existing slabs here and there and has bought in few changes, which are not earth-shattering by nature. A close analysis of the budget throws 10 key takeaways from this budget which one should factor in when they set out to plan for next year’s savings and investments. The minimum tax-slab on which tax needs to be paid has been increased from Rs.1.8 lakh to Rs.2 lakh and this year there is no distinction between a male and a female tax-payer as used to be in the past. However, the minimum tax slab for senior citizens remains (aged above 60 years) at Rs.2.5 lakh and for very senior citizens (age above 80 years) it is Rs.5 lakh. There has also been increase in the highest slab from Rs.8 lakh to Rs.10 lakh which is a welcome move particularly to the middle income earners as they would save Rs.20000 in the bargain which is a big amount considering the high inflationary world we are living in. Below are the new tax-slabs applicable for 2012-13 for individual tax-payers who are below the age of 60 years. In the past, for some reason the income from interest in savings bank account was taxable but was however never reported in the income tax filing by most individuals (not because they wanted to save tax, but more so due to tedious job of computation of interest from various savings bank accounts which an individual maintains normally). This year’s budget has given respite from this, stating that if the interest is less than Rs.10000, which will happen in 90% of all the cases, then it is exempted. Salaried tax payers can now breathe easy as they won’t have to carry out this arduous task. One caution though – interest from fixed deposits is not exempted. This is bad news for all the stakeholders as this will result in higher expenses at most places, such as dining out in a restaurant, entertainment expenses, vacation tours, etc. Basically at all places where service tax is levied, you can expect to see an increase in expenses. Rajiv Gandhi Equity Savings Scheme is an innovative concept being brought in by the Finance Minister in this year’s budget. As we all are aware, retail participation in Equity Market is very low at just 2 % and our markets are mostly controlled by Foreign Institutional Investors (FIIs). The government has realized that to bring more stability in the long term, retail participation is very important. This kind of scheme has been introduced inFranceand other European nations and has proved to be pretty successful. Under this scheme, a new equity investor will be able to claim tax exemption on 50% of his investments in direct equity up to the maximum investment limit of Rs.50000. This investment would be subject to a 3 year lock-in period. However, this will be available to only those whose taxable income is below Rs.10 lakh. A this stage, there are a few concerns, the most important being whether Equity Mutual Funds will be a part of this scheme or will it be limited to direct equity investments. Another bad news is that for the last two years there was an exemption of Rs.20000 on investment in infrastructure bonds under Section 80 CCF, which finds no mention in this budget, which apparently means that this has been done away with. Before the budget, there was an expectation that this limit may be increased to Rs.50000 considering the Government’s thrust on infrastructure spending, but the complete removal of this provision was a complete shocker. 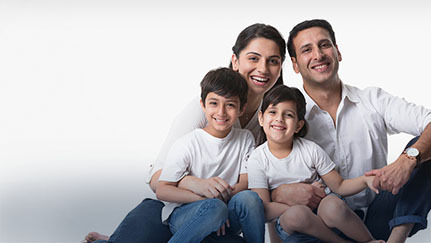 If you buy a life insurance policy from 1 April 2012 and your premium happens to be more than 10% of your sum assured, then the premium will be not included for tax exemption under Section 80 C and its maturity proceeds will also be taxable. There was a fear before the budget that the premium amount should be less than 5% of the sum assured as was outlined in the revised DTC paper. This is a big blow to single premium schemes which are normally sold as investment plans and where the insurance element is very minimal. However existing policy holders don’t have to worry about this, as their policies won’t be affected. Indiais a capital to many dreaded diseases like diabetes, obesity, high cholesterol etc. To top it off, we don’t like to fix it until it’s broken, which can prove to be disastrous as delays pile up. As the saying goes, “Prevention is better than cure.” The Finance Ministry has doled out an incentive of Rs.5000 for preventive health check-up under Section 80 D, which means that you can claim these expenses and will be exempt from paying income tax up to this limit. Please note that this is a part of the Rs.15000 limit which also includes the medical insurance premium paid for self, spouse and dependent children. To encourage delivery based trading and investments, the Finance Ministry has shown some leniency as far as STT is concerned. Whenever an equity share is purchased or sold, STT is applicable and you have to pay it. Earlier the STT on delivery based transactions was 0.125% which has now been reduced to 0.10%. There was a lot of speculation before the budget that Equity Linked Savings Scheme (ELSS) may be removed from the list of investments under Sec 80 C. However, sanity prevailed and the Finance Ministry didn’t tinker with this less popular but very effective mode of investment. Therefore, you can continue to run your SIP in Tax Saving Funds for the next year without having any doubts in mind. If you are a High Net-Worth Individual and want a guaranteed return on your investments, that too tax-free, some really good news awaits you. The tax-free infrastructure bonds (NHAI, PFC, IRFC, HUDCO, and REC) which have swayed the market since Jan 2012, are here to stay for the next financial year. As mentioned in the budget, companies are allowed to issue 60000 crore worth of bonds compared to last year’s 30000 crore. This may be a great opportunity as long as the interest rates stay north-bound.